The fight: Walmart versus Amazon. It is a fierce fight between the retail giants, with no end in sight. Walmart, the vulnerable emperor of brick-and-mortar discount stores, is dueling Amazon, an e-commerce powerhouse with automated warehouses, and operates its retail segment at a loss to crush the industry as a whole. In a world where Amazon is forcing inefficient big-box stores out of the picture, Walmart is under intense pressure to increase labor efficiency. Walmart is plagued with large overhead expenses, including retail real estate and full-time employees; while those overhead expenses are not as much for Amazon, which relies heavily upon automation in warehouses and an extensive network of subcontracted delivery workers. Amazon measures employee productivity by the minute, uses mass surveillance networks in its warehouses, and even has patents to track the movements of its workers’ hands through smart wristbands. As the retail war intensifies, it seems as Walmart has followed Amazon’s lead, and is now making moves to incorporate emerging technologies to improve labor efficiency. On Tuesday, the U.S. 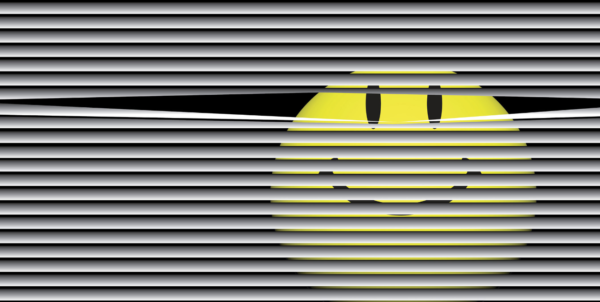 Patents and Trademark Office approved Walmart’s patent for surveillance tools that audibly track their employees’ productivity. It seems as both retailers [Walmart and Amazon] are progressing towards the Orwellian era of mass surveillance in the form of microchipping their workforce to improve labor efficiency. 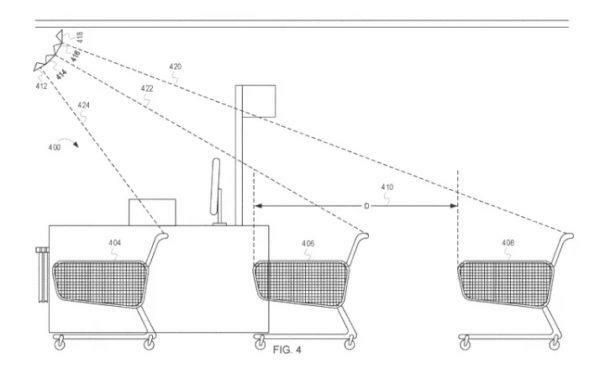 According to the patent, the audio surveillance technology would include various sensors strategically placed around the check-out area of the store that would secretly collect and analyze audio data. The “listening to the frontend” technology, as it is called, could include the sounds of employees bagging items to the conversations between patrons. Through artificial intelligence, Walmart could then use the data to evaluate an employee’s performance automatically. “If however the performance metric is based on the content of the conversation (e.g., was a specific greeting used or script followed), the system can process the audio detected by the sound sensors 102 (e.g., using speech recognition) to determine the performance metric,” the patent description explains. In other words, a talkative cashier with low labor efficiency could find themselves reprimanded for being too chatty — or even fired. While it is unknown if Walmart will ever pursue this technology, the patent shows the company is serious about using mass surveillance techniques to manage and make its workforce more efficient, which is the largest in the United States. Walmart believes the new audio system could help it save lots of money and increase customer satisfaction. “We’re always thinking about new concepts and ways that will help us further enhance how we serve customers,” a Walmart spokesperson told BuzzFeed News. Ajunwa also cited a study that discovered that mass surveillance could slow the productivity of employees, who are less efficient when they are nervous or feel they are being watched. In other words, the audio surveillance system could backfire on the retail giant who is struggling to keep up with Amazon. If Walmart decides to install it, though, employees could be powerless: Ajunwa says the technology is legal, so long the company says it is for business purposes. Thus, this technology would help to usher in a corporate Orwellian era where mass surveillance networks monitor employees at America’s largest employer to improve labor efficiency, as the retail war intensifies with Amazon.